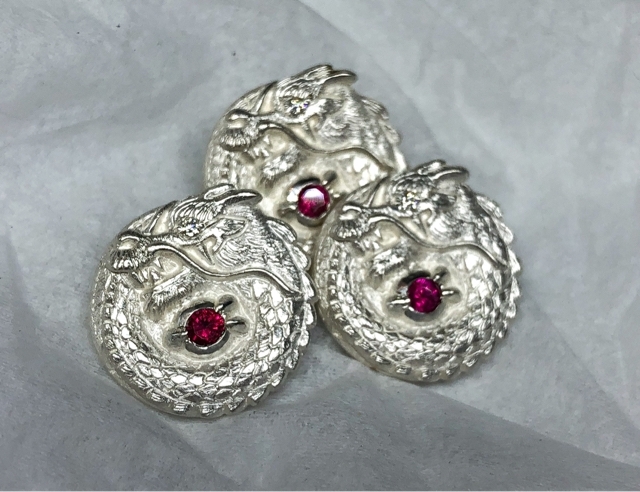 Non polished sterling silver Dragon with White Diamond Eye and Ruby Ball. 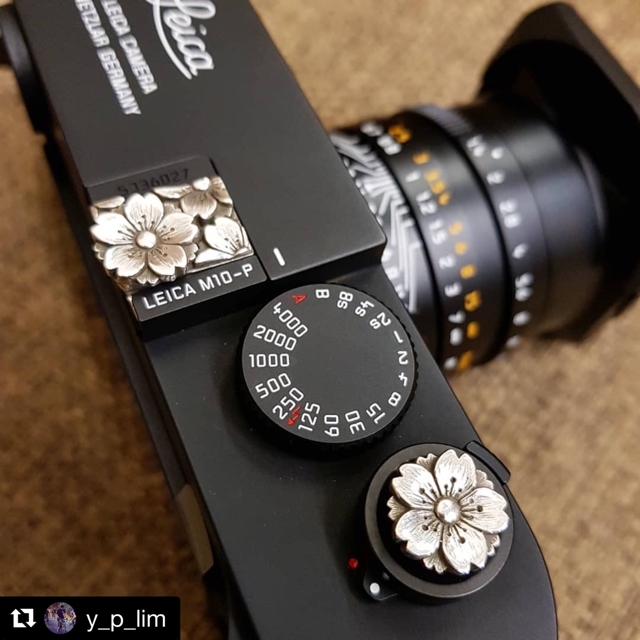 Let a million flowers bloom on Leica!! 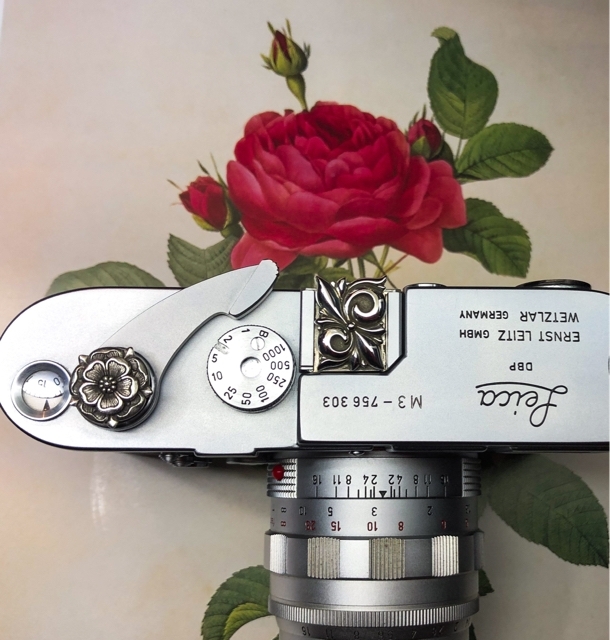 Elegant golden chrysanthemum blooms on Leica. 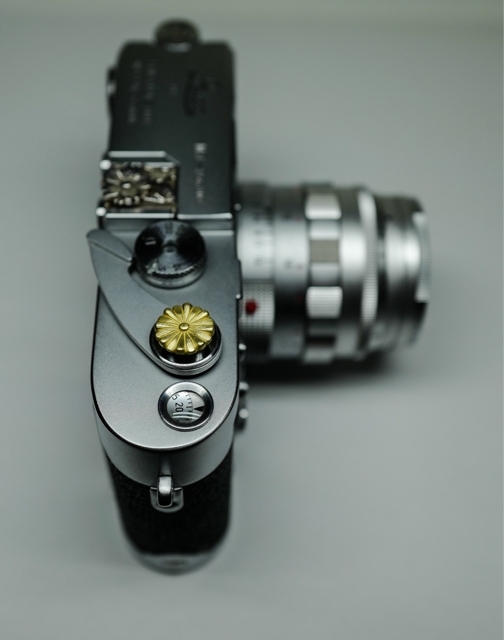 I love put on custom parts to my favorite Leica… it's like a wearing new jacket myself!! Do you know who will come after the Sakura have fallen? Wild beauty post from Hong Kong. This combination has man's adventure with classic beauty. It's really Safari (^_^)v I love it!! 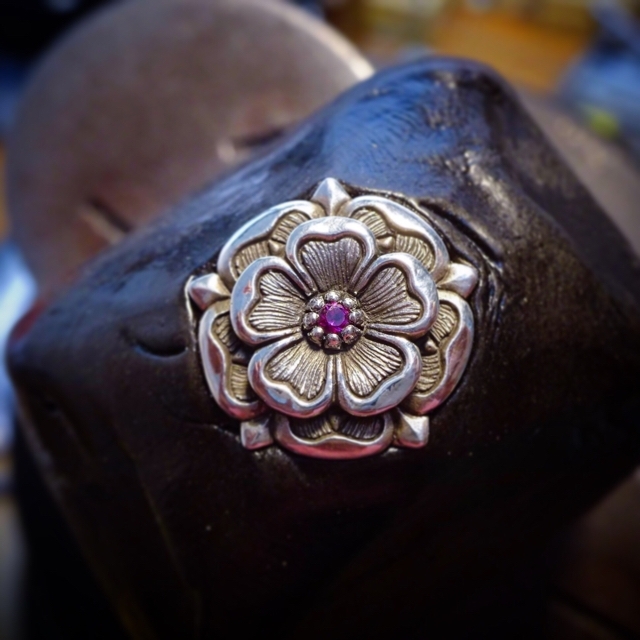 Making "Sakura" hot shoe covers. 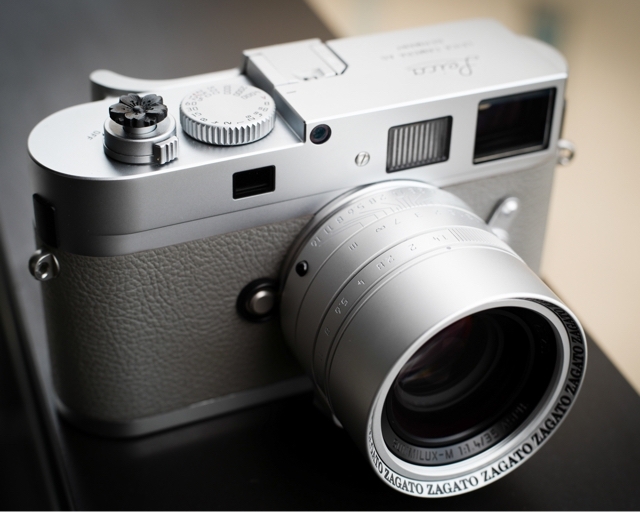 Those are sliytly different each others… from the front, for M240, M6 as film Leica, Leica Q and last one is not adjusted. Absolutely stunning!! post from Hong Kong. OMG ?(^?^)? Sakura from Hong Kong. 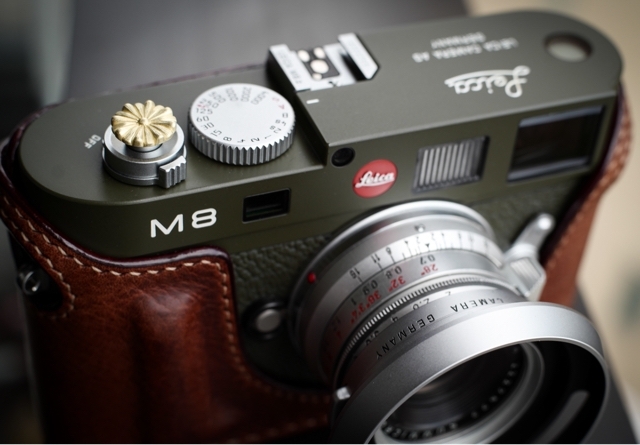 There is "Matte Black Sakura" blooming on Leica M9-P a la carte grey leather with Zagato special edition 35mm f/ 1.4. 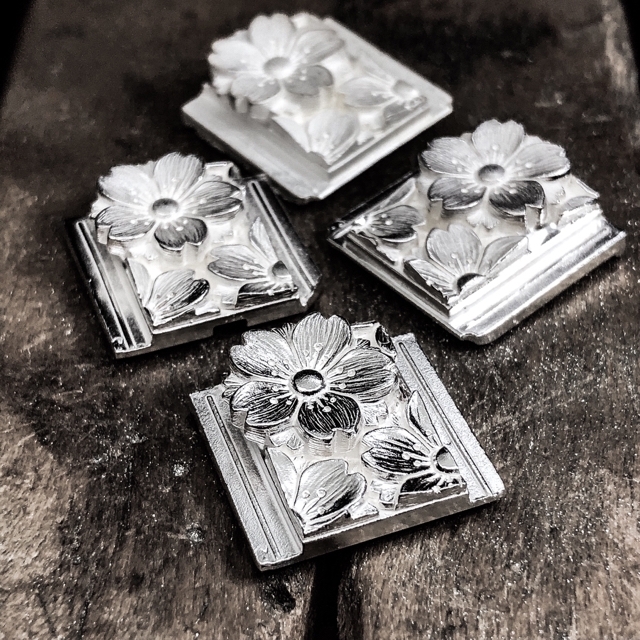 This is beauty of grey tone… such as silver, grey and black. 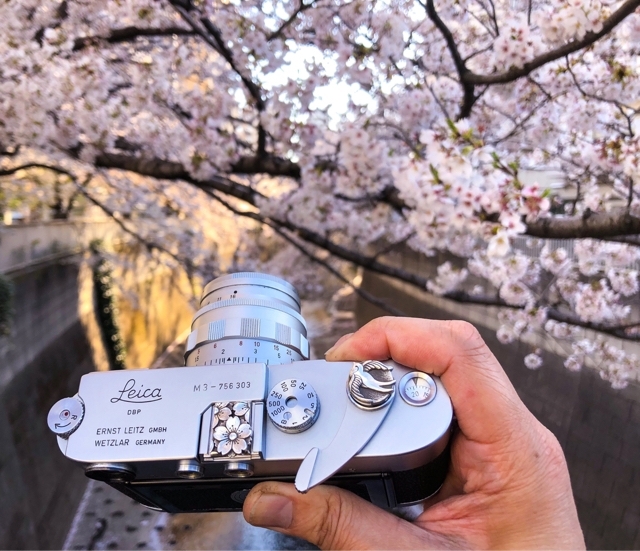 "Sakura" on his Leica M10-P!! I am glad that "Sakura" are in full bloom in Australia. Fabulous (((o(*ﾟ▽ﾟ*)o)))? post from world well known Thai multiple artist Binko!! 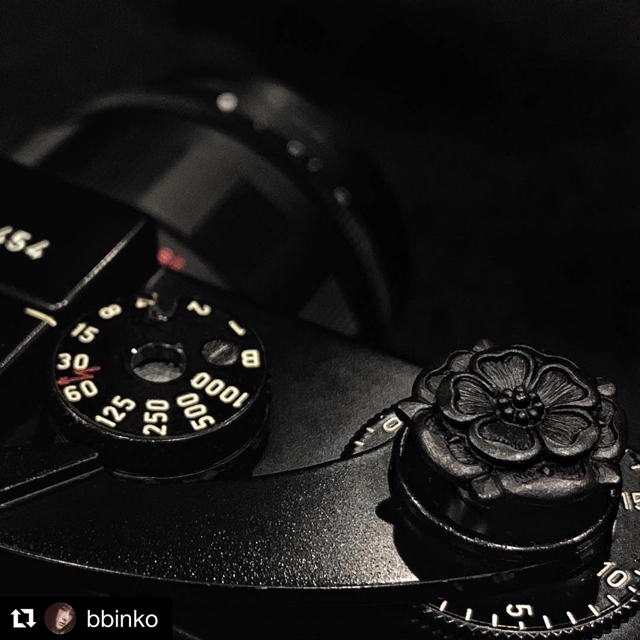 Oh yeah, "Black Tudor Rose" blooming on her beautiful Black Paint Leica M2. This combination is amazing (((o(*ﾟ▽ﾟ*)o)))? I love it!! Thank you so much for sharing photo @bbinko You're absolutely fabulous! !